I first shared this low-carb meatloaf recipe in 2013. This grain-free, gluten-free, Italian style low carb meatloaf is great for everyone. In my experience, the parmesan cheese makes a better binder than pork rinds and you get a great, traditional consistency here. I found myself in a rather uncomfortable position the other morning. I pulled out my day planner and looked at my menu plan and cringed on the inside. In the back of my mind were snippets of memories of myself crying at the table, begging to be allowed to skip dinner because I hated meatloaf. I then thought of the time I first met my husband’s extended family over a “special family dinner.” Of meatloaf. A meal I hated. And I worried. Why had I decided to expland their palates with meatloaf? “WAHOO! I can’t wait to try it!” shouted the Princes. Her brothers quickly followed suit. To this day, I’m not sure why I added it to our meal plan. I suppose it’s because I want to raise well-rounded children who aren’t picky eaters (like, ahem, one of their parents). But then I felt pressured. I was essentially making up a recipe, and although I was already sold on this amazing Italian treat of low-carb meatloaf, I was holding my breath for their verdict. The unimaginable pressure was the result of the hope and excitement on their sweet faces that morning, that Mommy wouldn’t mess up an almost month-long winning streak of fabulous dinners. But it was meatloaf. 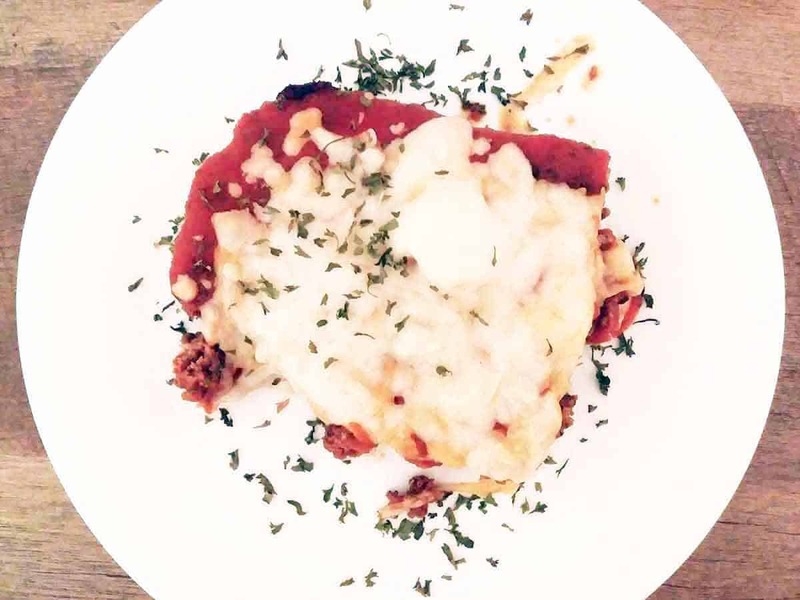 Seriously delicious, Italian style, low carb meatloaf. This one got twelve thumbs up (I have a lot of critics kids, and they love to vote; anything over 8 thumbs up gets made over and over again around here, so this one was a tremendous victory). You’re going to love it. You’re not going to think about the fact that you are eating low-carb meatloaf that is healthy and slimming. All you’re going to consider is that your taste buds are singing. My 3-year old calls it Meat Pizza, and he could be on to something. But the Princess declared it Meatloaf a la Italia all those years ago when she first had it and it stuck! 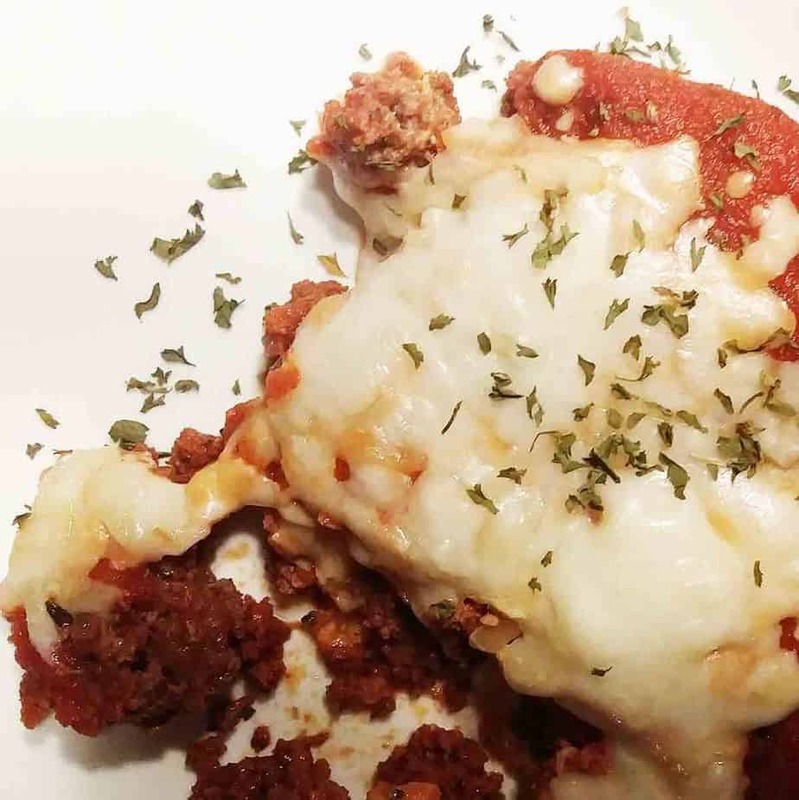 Whether you’re following Trim Healthy Mama, Atkins, South Beach, Keto, or just want a fantastic meal that your entire family will enjoy, this Italian inspired low-carb meatloaf is bound to be a family favorite. Crushed pork rinds as a binder is very popular in low carb recipes, but honestly it’s not my favorite choice for a recipe like this. To make this meatloaf without pork rinds, use grated parmesan cheese instead! Like breadcrumbs, it’s dry, holds moisture, and is fine. Plus, it tastes really good! You will still use eggs to help bind, as well, and the result is an Italian meatloaf that is filled with flavor! 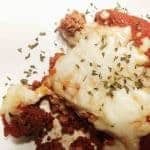 It’s all the perfect keto cheese meatloaf or Trim Healthy Mama S dinner. Enjoy. An Italian twist on a classic dinner. Smooth it into a 13×9 pan. Bake at 375 for 45-55 minutes (when it reaches an internal temp of 165-170 if you want to temp it). When it's done, pour out the fat and let it sit before serving. OPTIONAL (but highly recommended for the yum factor): top with marinara and mozzarella. 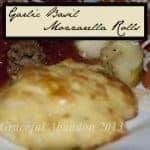 A dinner roll without the carbs and filled with Italian flavors. 3.5 TB glucomannon follow the directions carefully! Beat eggs in mixer until fluffy. While still mixing, add in olive oil and water. Add in baking powder, and spices. Slowly add in glucomannon, over several minutes. Beat for approx 10 minutes, until batter makes thick waves and is pudding like. Remove bowl from mixer and fold in cheese. Use a cookie scoop to drop balls onto greased cookie sheet. Bake 375 for 12-15 minutes.